Magazine writer, travel guide editor, nostalgist, Pisces, mother of two girls and founder of Mystical Thinking (which covers everything from meeting spiritual animals to crystal healing) Emma is currently embarking on a year of all things mystical. For Chic Little List, she rounds up five spiritual therapies you can apply with children to help them build confidence, deal with stress and friendship issues. Emma with her daughters Cleo, seven, and Lola, nine. You’ve probably read about Victoria Beckham’s pre-show crystal rituals or seen Dynamic Astrology by Carolyne Faulkner– in-house astrologer for the Soho House Group –on the shelves at your local Waterstones. Or you might have spotted the ‘Spiritual Address Book’ feature in the June issue of Vogue? Either way, you probably don’t need a crystal ball to tell you that the spiritual world is having a fashion moment. I’m not surprised (#psychic). And I definitely hope it’ll be more than a flash in the pan trend. Astrology, tarot cards, magic, and wishing on stars have helped me make sense of the world since I was an occult-obsessed teen in the ’90s. More recently, as a stressed out mother and multi-tasking freelance writer, getting back into yoga, meditation and charging chunks of rose quartz under the full moon has helped chill me out for the first time in years. I wouldn’t say I’m a blind believer in every aspect of the spiritual realm (I’m a journalist…and a cynical northerner!) but I do believe in intuition, positive thinking and that there’s something bigger than all of us out there. So, earlier this year I embarked on a project I call my Year of Mystical Thinking (mysticalthinking.com), in which I devote 2018 to exploring the mystical, expanding my mind and rediscovering all those things that made me tick way back when. It’s been an eye-opener. I’ve had an out of body experience at a crystal sound bath with Jasmine Hemsley, mastered a perfect yogic shoulder stand and met my spirit animal (an elephant in case you’re interested) in a guided meditation with the coolest shaman in town Wolf Sister. What I hadn’t banked on, though, is how much my children would want in on the action. My daughters, Lola and Cleo, are nine and seven, so fairies, unicorns and birthday wishes are as real to them as homework and compulsory broccoli. In fact, I’m not sure why I was so surprised when they started taking an interest in my deliveries of smudge sticks and activation decks. Children are natural believers. But the best part of their engagement with my mystical project has been what a great tool it’s been for helping them cope with some of the worries common to this stage of childhood – school work stresses, friendship issues, building confidence and self belief. In fact, I don’t know why I didn’t pack them off to school with crystals in their pockets sooner. Interested? Why not try a few of the suggestions below out on the small people in your life. Victoria Beckham would definitely approve. Basically cutting and sticking with added wishful thinking. We spent the beginning of this year creating vision boards of all the things we hoped for in 2018 (non-grumpy ski instructors featured highly), let the full moon work its magic on them and put them somewhere we’d be able to see them for the rest of the year. A great way to focus in on what really matters to you and your child. Find out more about how we did it here. I already mentioned the crystals in their pockets above. Honestly: game changer. It’s heartbreaking when your child comes home from school devastated because they felt left out in the playground. My girls now have special (non school regulation!) crystals in their coat pockets to hold on to when good friends turn bad or things feel tough. A lucky talisman, a reminder to always be kind or something that just makes them feel like I’m with them even when I’m not… who cares? It works. For even more crystal fun you might want to check out queen of the quartzes Crystal Muse and her beautiful boxes of fairy cave geodes for kids. My girls love these, especially the smashing them open with a hammer part. Still plagued with sleep issues even though the baby stage is long gone? Meditation might well be the answer. I used to talk my eldest daughter Lola through simple breathing techniques myself each night, but now, whenever she can’t sleep, she sorts herself out with a guided meditation or two. She loves this YouTube hot air balloon ride but there. Also worth a look are the Headspace meditations for children. Tarot cards still feel a bit too grown up for my girls but they do get a lot out of pulling one of the YesMum Mini affirmation cards on the walk to school each morning. These tiny fist bumps for kids offer up phrases like ‘I can do difficult things’, ‘I have friends who like me because I am me’and ‘I enjoy learning new things’ for children to repeat five times and take forward with them into their day. Another good one for the sleep-deprived among us. I’ve been sprinkling soporific lavender oil on my children’s pillows since they were babies. Whether I can pin their (relatively) good sleeping habits on that alone I don’t know, but neither of them can walk past a lavender plant without stopping for a sniff. Essential oils have been used for centuries to calm, soothe oruplift and there are blends to suit all sorts of inner peace requirements. 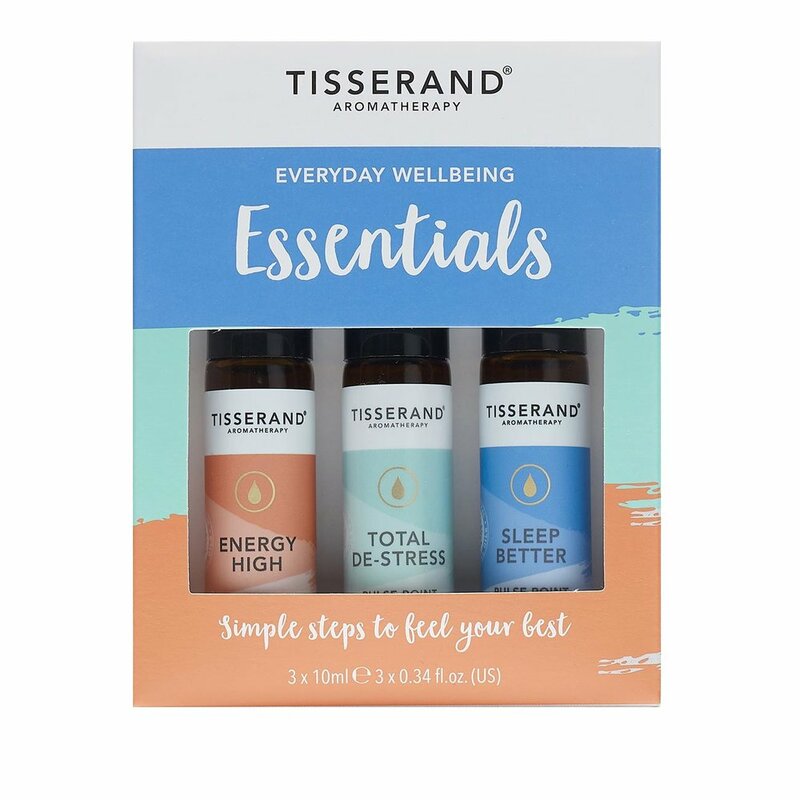 We’ve recently discovered Tisserand’s new pulse point blends – great to stash in the bottom of your bag and pull out when you all need to press pause on a hectic day.